I can imagine how you hate to see a Bald Eagle in a movie and hear the Red-tailed Hawk screech. Yet, at least, the two of them can be found at the same place. Hence, it is not impossible to see one and hear the other at the same time. 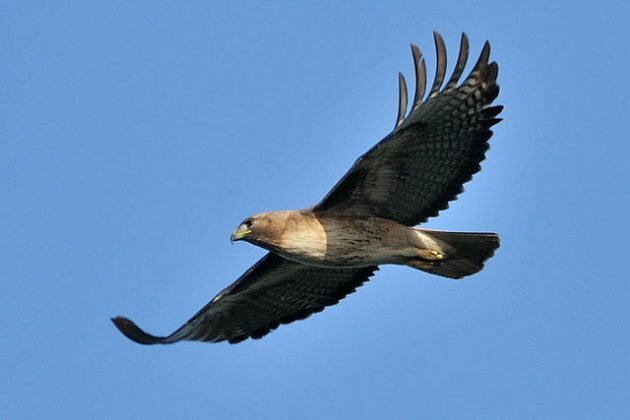 But try to imagine my surprise when I discovered that Red-tailed Hawks may be found in the Balkans! The other day I watched a TV ad for a local mobile network provider showing a bright young free climber Stasha scaling a wall somewhere in the hilly heart of Serbia and immediately posting it at Instagram or wherever. It wasn’t Stasha who caught my attention. While filming her daring exploits, the moment before the cliff drama unfolds, the camera crew accidentally recorded a sound of a big, lonely place. A sound of a species never before recorded in the wilds of Serbia. A sound we all know and hate. I wander, should I let the rarities committee hear about this latest addition to the bird fauna of the country? Or, perhaps this marks the final point where Hollywood has to enlarge its bird sounds library? Where Are You Birding This First Weekend of February 2017?